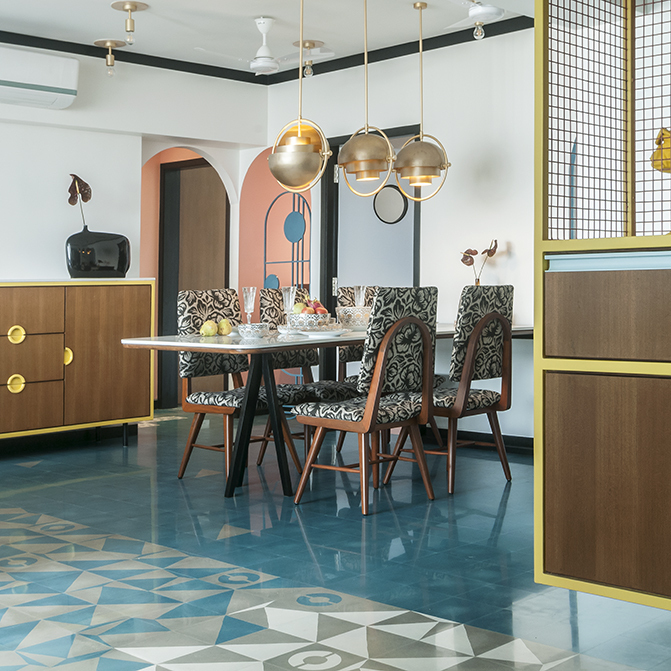 Architects Huzefa Rangwala and Jasem Pirani of local studio MuseLAB imagined a vibrant art deco apartment, where they let the flooring shine as the star element. 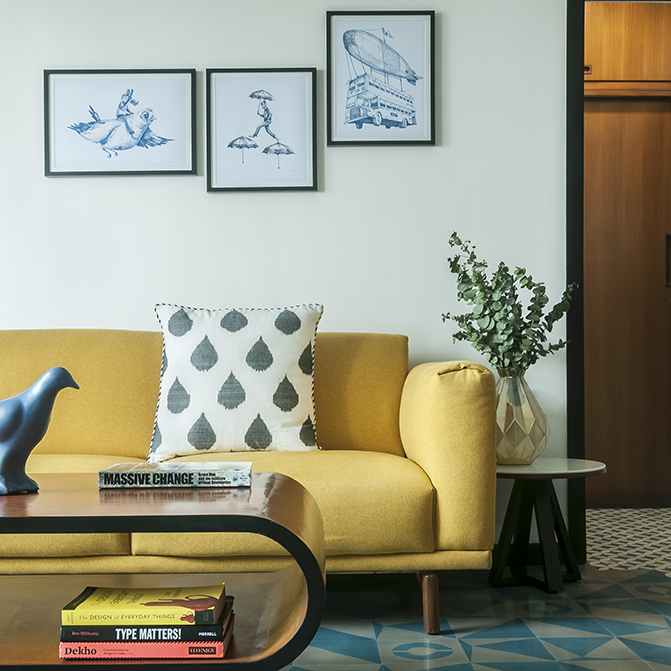 They had a clear brief in mind – a space with optimised expanses and a relaxed vibe. “We came on board immediately after the apartment was bought by the clients, a young couple. 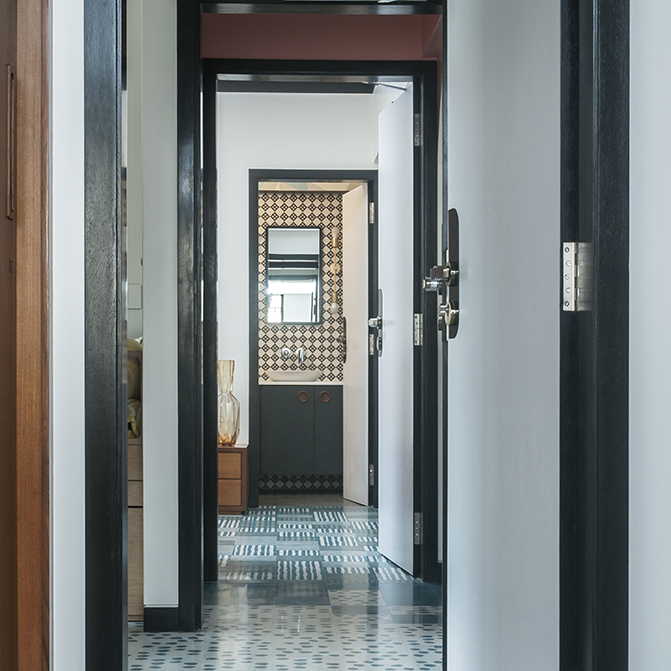 They had a clear brief in mind – a space with optimised expanses and a relaxed vibe. 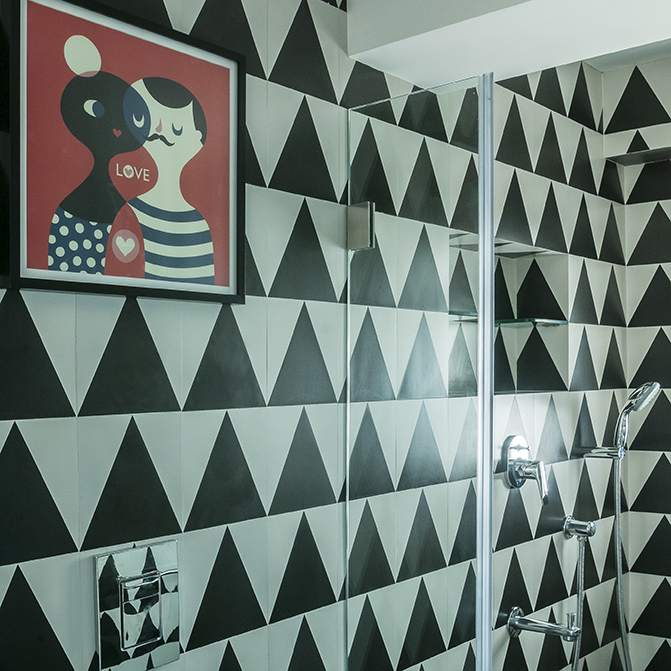 The wife grew up in an art deco apartment with terrazzo tiles and this had to reflect in the design. 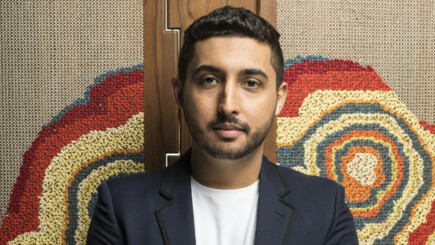 So, we decided that the flooring had to be the central feature of the project,” the esteemed architects said. 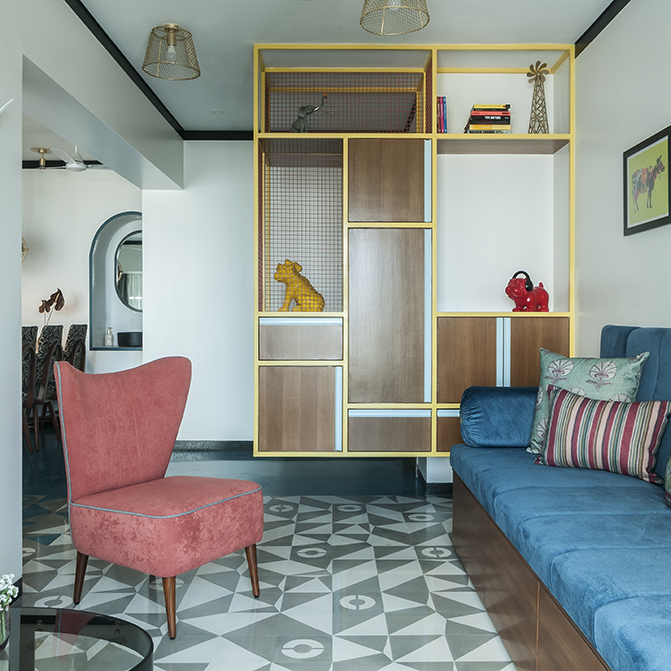 Huzefa and Jasem went to the drawing board and began deconstructing this modern style characterised by rich hues, bold forms and decadent detail to fit the needs of their contemporary lifestyle. 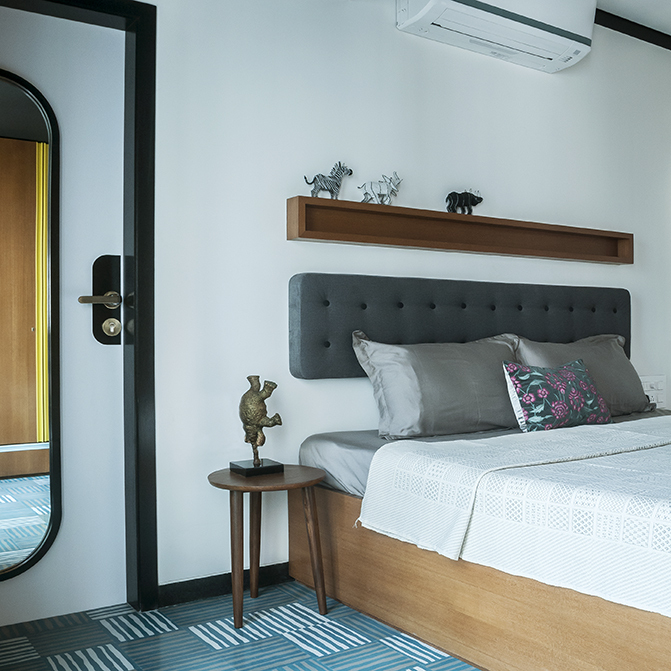 Additionally, since their clients were soon to be parents, the architects had to plan for the baby as well and ensured that a gender neutral nursery was created. 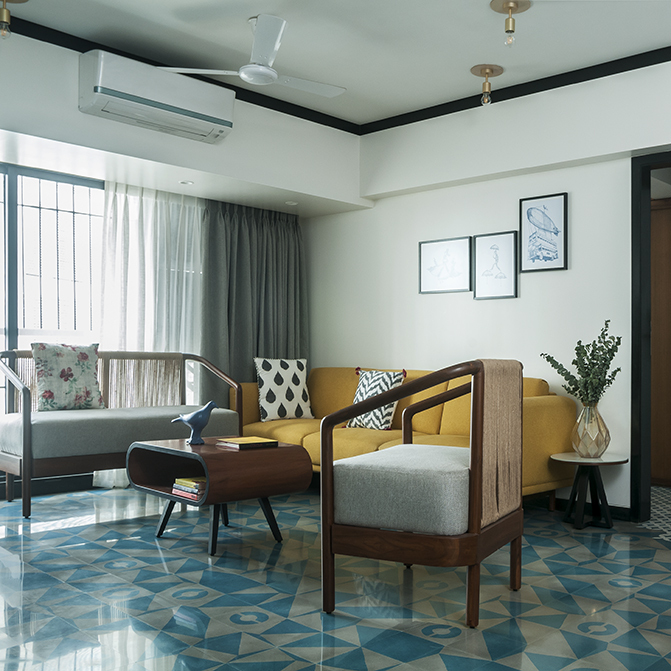 The tiles are the focus of the home and to evoke memories from the homeowners’ childhood, they opted for the cement ones from Bharat Floorings and Tiles. These vibrant pieces in a great selection of colours give each room an individual character. 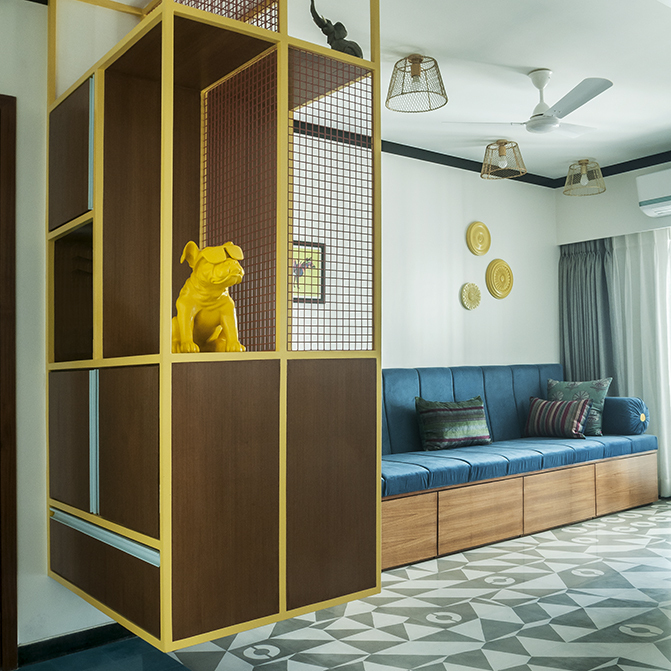 Ones with contrasting geometric shapes were chosen for the living room, a solid tone for the dining space, a heritage one for the master boudoir, a dot-like playful design for the nursery and a freehand line pattern for the guest bedroom. 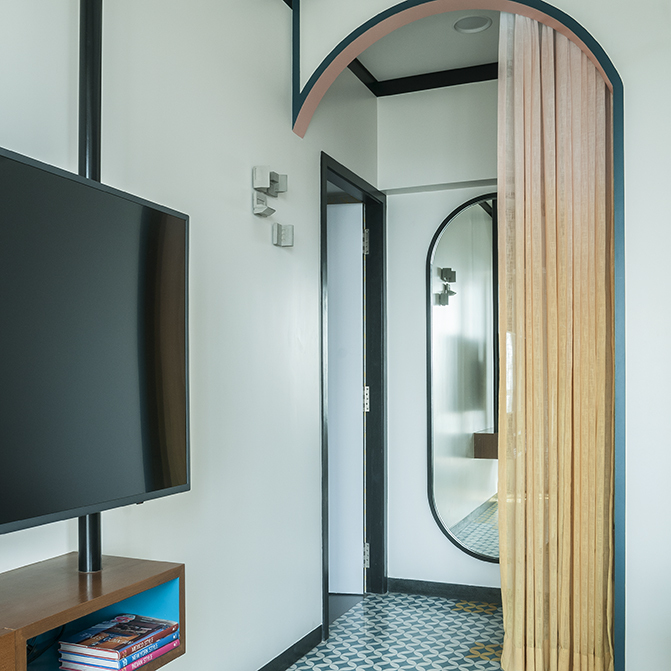 Each element was placed after carefully understanding the room’s fundamental components, right from the textures to the finishes. 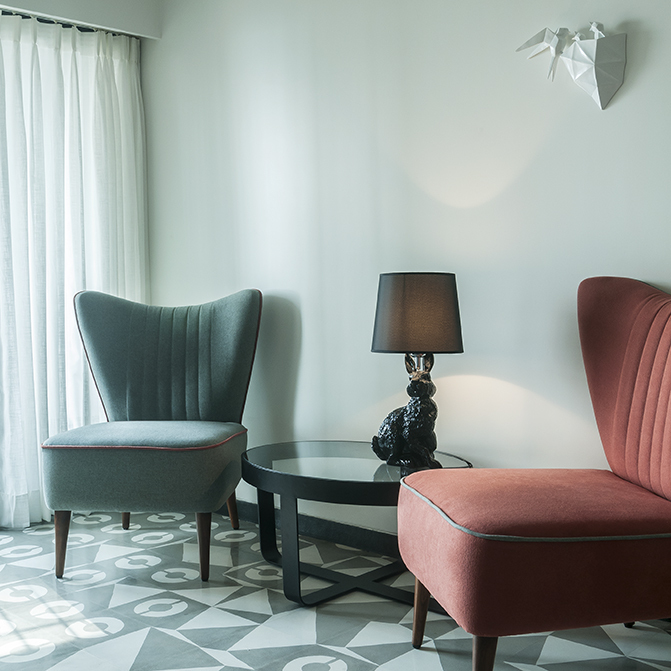 Comfortable, contemporary furniture pieces, most of which were custom made and fabricated, barring the accessories were designed to contrast the vivid flooring. The walls throughout the house were painted white and capped off with a leather finish black granite skirting on the bottom and a similar coloured band on the top. 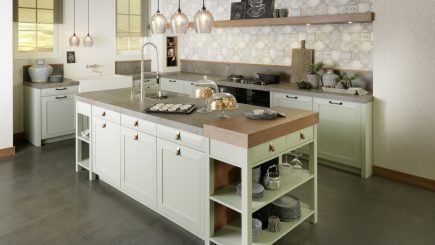 The home has a lot of nuanced and indirect references to the stylish era. The off-beat temple screen or the gold lighting fixtures that hang above the dining table can be easily noticed. They struck a fine balance between simplicity of form and the decorative embellishments. 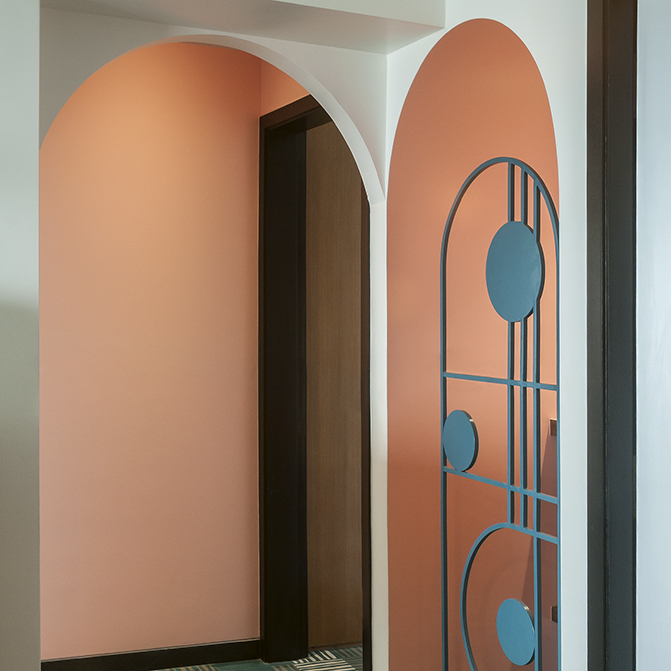 This home is their avant garde interpretation of this design movement that found its fame in the 1920s.